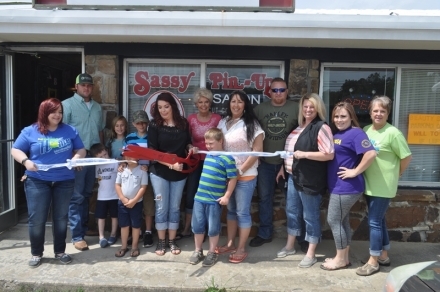 Poteau, Oklahoma - The Poteau Chamber of Commerce is pleased to announce Sassy Pin Up hair salon as members of the Chamber of Commerce. Ashley Wiles and Tammy Watts owners along with stylist Celeste Way are here to meet all your hair needs. Whether it highlights, cuts, color or wax, stop by and get all fixed up to be beautiful inside and out. Call and set up your appointment today at 918-721-3704. Walk in welcome and after hours by appointment.